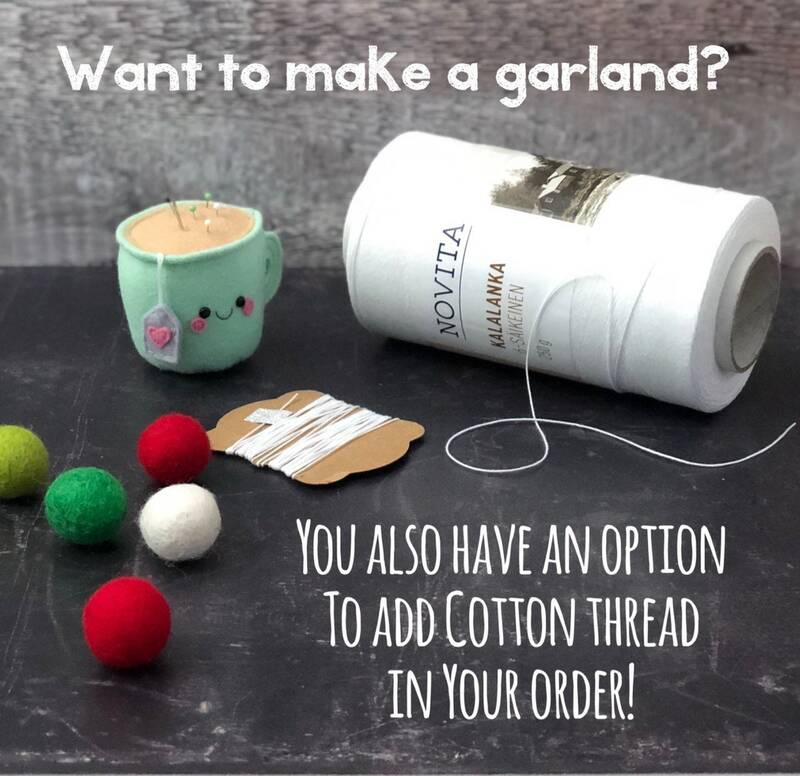 Loose Felt Balls - 36 Colours To Choose From! Mix and Match any way you like, any colour combination is fine. Just make sure to mention the colour numbers and quantities in the custom message box. Make your own wedding garland, mini garland for the chairs, twine it around the wedding arch etc etc. 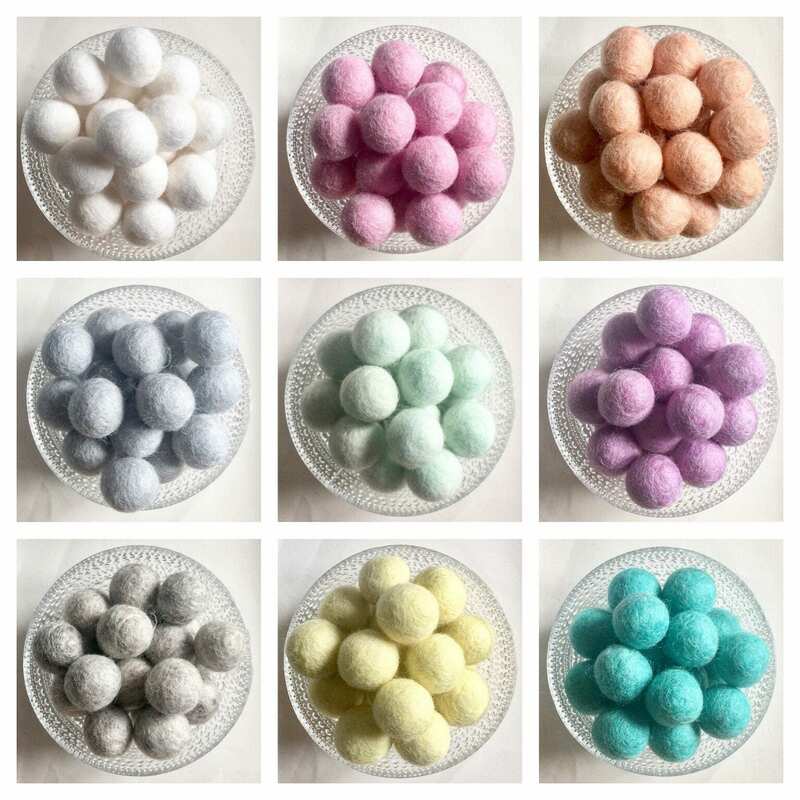 My wool felt balls are made in Nepal, they are 100% wool, coloured with azo free dyes and are of highest quality. Individual felt ball is approximately 2.2cm (just under 1 inch). Some tiny variation in size and colour may appear due to the handmade nature of these wool felt balls. Great product - exactly what I was looking for. . We had some issues with Royal Mail postage delays and Heli was extremely helpful sorting it out and getting new ones sent out speedily. Arrived quickly and very happy with the quality.